New mobile OS popping up every other week can be a bit unsettling for aspiring mobile developers, as they face the constant need to update their programming arsenal. While the avid developer might be more than willing to pin another token to his infinite arrays of programming languages, it is wise and efficient to invest time in a universal language that could mold and work on any device irrespective to it’s OS. Heeding the call of unity, HTML5 has been silently transforming itself into the savior of the developers as well as the users from the mobile division. 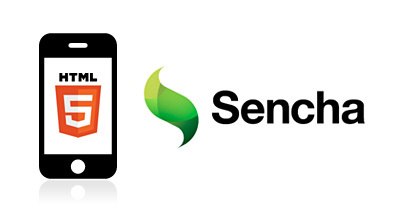 There are numerous HTML5 frameworks specifically for mobile, and among them one particular framework, Sencha Touch, almost blurs the distinction between web apps and native apps. The robust Ext JS backbone and an unparalleled highly efficient styling implementation using Sassy, that Sencha Touch embodies, renders web apps consistently through all the mobile platforms. The functionality and interactivity are identical to those of the native apps. With that the ability to control the data and look on the fly as with any regular website gives it an edge over restrictive native apps.